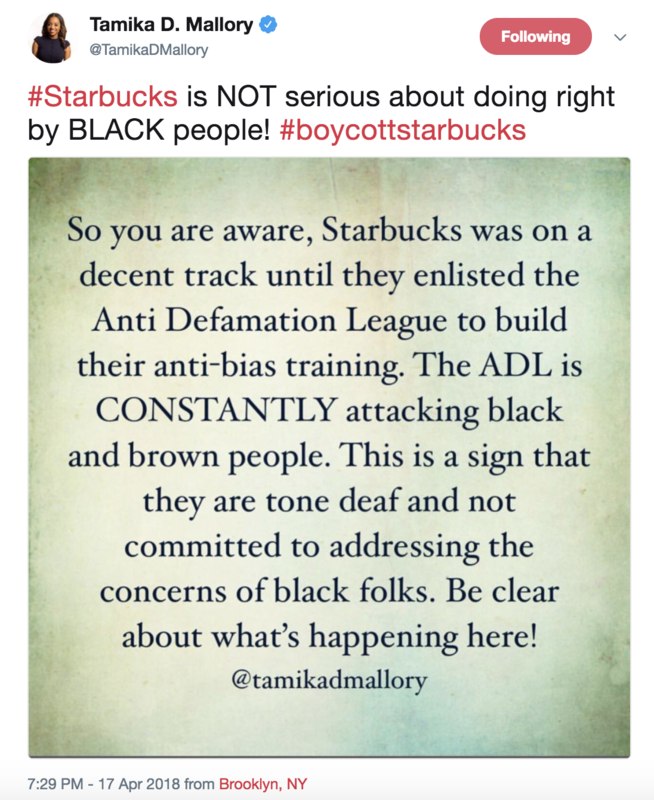 Women’s March co-president Tamika Mallory on Tuesday called for a boycott of Starbucks over the coffee company’s partnership with the Anti-Defamation League (ADL), a mainstream Jewish civil rights group. “So you are aware, Starbucks was on a decent track until they enlisted the Anti-Defamation League to build their anti-bias training. The ADL is CONSTANTLY attacking black and brown people,” Mallory wrote in a statement Tuesday evening. Mallory previously faced a backlash after attending a Farrakhan speech at a Nation of Islam convention February 25. Farrakhan praised Mallory’s activism during his speech, which was rife with anti-Semitic conspiracy theories. Other Women’s March leaders have also declared their support for Farrakhan. 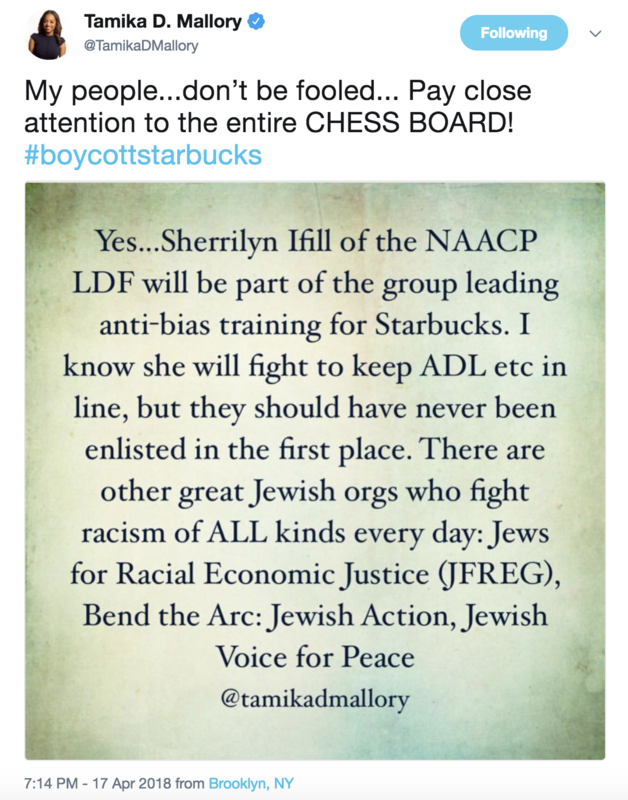 Mallory doubled down in her attack on the ADL when challenged on Twitter.